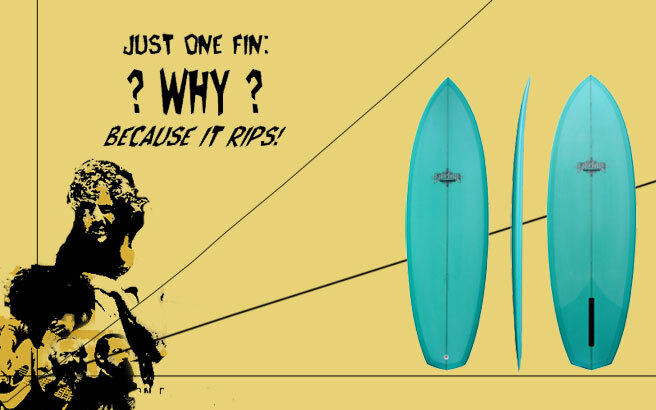 Single fins pivot like no other fin arrangement. I’ve used this advantage to make a really manuverable small-to- medium-size wave monster. This isn’t really a “retro” style board, but it has a rocker and thickness distribution that helps a single do what it does.